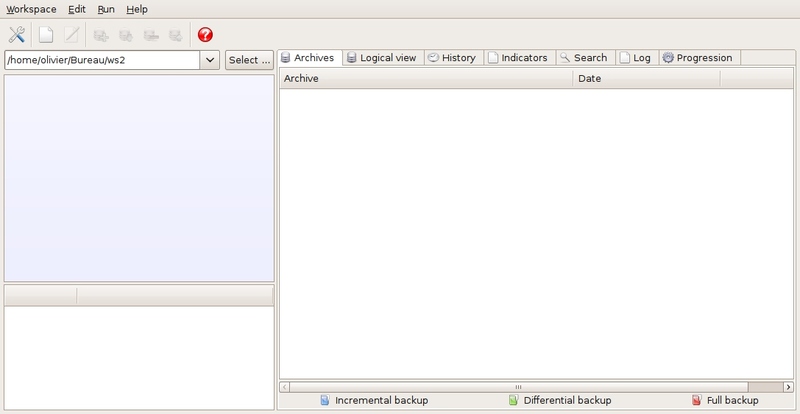 This short tutorial will show you how to recover your data when your backup configuration has been lost (for instance in case of disk crash). Make sure you've had a look at sections 2 ("Running your first backup") and 3 ("Recovering files from your archives") before reading this section. If all your local data (including Areca's configuration) has been lost, you must recover your target configuration before being able to read and restore your archives. 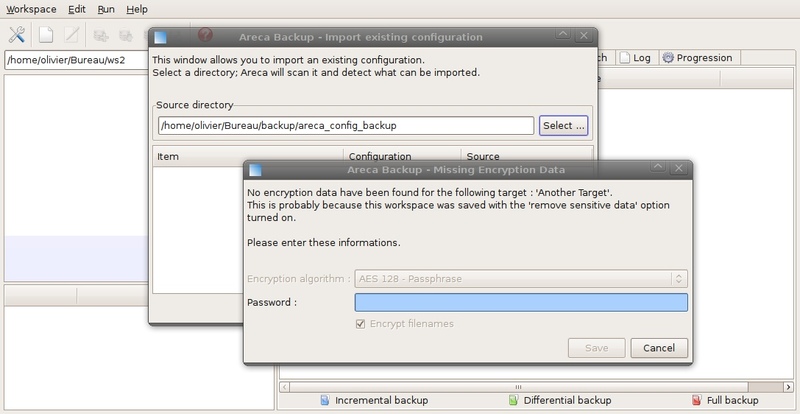 Areca stores a copy of your target configuration in a subdirectory of your backup location named "areca_config_backup". So all you have to do is to import this configuration copy into your workspace. 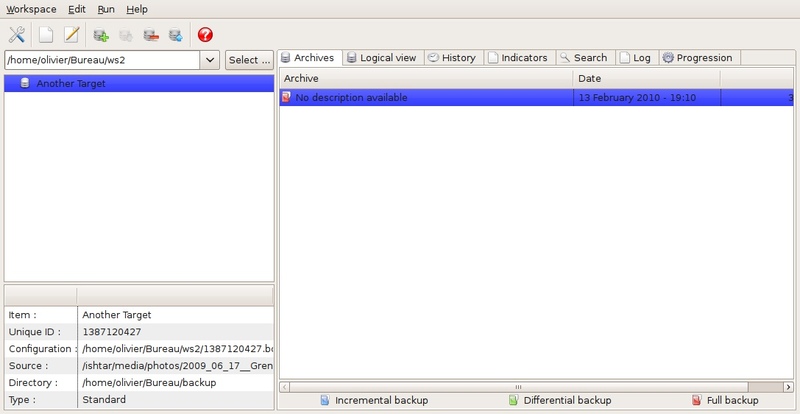 Let's assume that all your backups are stored in a directory named "/home/olivier/Bureau/backup". 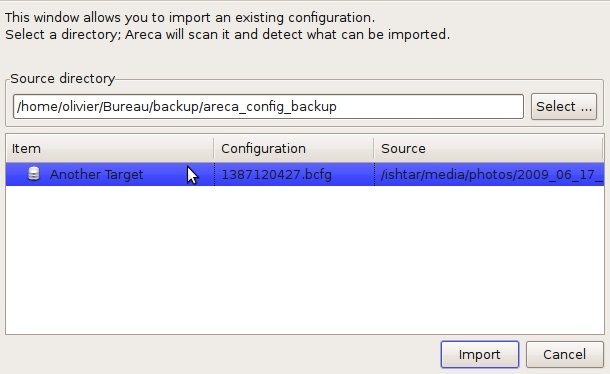 If you kept the "store backup configuration" option enabled in your target configuration, there should be a subdirectory named "areca_config_backup" in that directory. Areca will list all configurations that have been found. In our case, there is only one configuration copy in this subdirectory. Select it and click on the "Import" button. What if my target are encrypted ? 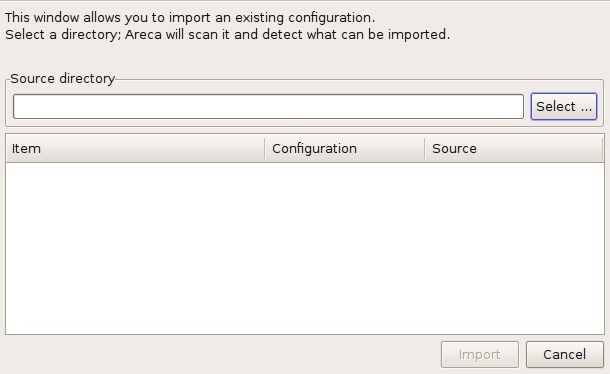 When your targets are encrypted, Areca doesn't store your password in your configuration copy (for obvious security reasons : we don't want anybody to be able to retrieve this password from your configuration copy). That's why a specific window will open during the "import" phase, which will ask you to enter your password. Of course, nothing can be done if you forgot your password : Areca won't be able to read and recover your archives.